PCB is an important carrier of electronic components and an important circuit connecting component and has developed for a long time. According to the number of printed circuit board, PCB can be divided into single-side PCB, double-side PCB, multi-layer PCB. Until today, PCB has reached a fairly fine degree. Many improvements and optimization of PCB technologies have been born. In the early 1990s, Japan and the United States pioneered the application of high-density interconnection technology, namely HDI. The manufacturing process is to use double-sided or multi-layer boards as the core boards and use multi-layer overlapping and stacking technology to absolutely insulate the PCB between each layer of boards, manufacturing the high density, high integration printed circuit boards. The five major features of this kind of PCB are micro, thin, high frequency, fine and heat dissipation. 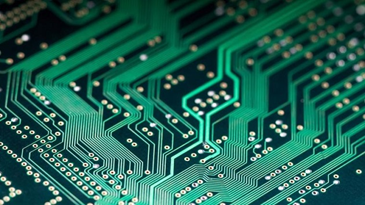 According to these characteristics, continuous technological innovation is the development trend of today's high-density printed circuit board manufacturing. "Thin" determines the survival basis of high density electronic circuit. Its birth directly leads to and influences the production of fine and miniature technology. Fine wiring, fine micro-drilling and insulation design of each layer determine whether the high density PCB can adapt to high frequency operation and is conducive to reasonable thermal conductivity. This is also an important method to judge the integration degree of the electronic circuits in the ultra-high density electronic circuit board. For HDI with different hierarchical structure, there are great differences in process manufacturing. Generally, the more multi-level structure, the more complex and sophisticated, the greater the difficulty of manufacturing. At present, there are several major process characteristics for the connection between plates, which are "ladder connection", "staggered connection" and "span connection"· "layer connection" and "stack hole connection" are not described in detail here. Ultra-high density interconnect any layer printed circuit board, belongs to the printed circuit board in the high-end products. Its biggest demand comes from the market for electronic products that require light, thin and multi-functional features, such as smart phones, laptops, digital cameras and LCD TVs. Integrated printed circuit board technology is the separation of one or more electronic components integrated in a printed circuit board structure, which makes the integrated printed circuit board system function of the printed circuit board to a certain extent, improving the reliability of electronic product system function, the signal transmission performance, effectively reducing the cost of production, and the production technology being more advantages of the green environmental protection. It is one of the electronics system integration miniaturization technology, has a huge market development potential. The heat source is derived from high-power components by using the metal substrate material itself with better thermal conductivity. Its heat dissipation performance is related to the structure layout of multi-chip package and the reliability of component package. The metal PCB with high heat dissipation as the high-end PCB and its metal substrate is compatible with SMT process, which reduces the size of our products, the costs of hardware and assembly, also replacing the brittle ceramic substrates and increasing rigidity. At the same time, it has the better mechanical endurance, which in many thermal substrate shows the strong competitiveness, so that the application prospect is very broad. High frequency and high speed PCB were applied in military field as early as the end of 20th century. In the past decade, due to the transfer of part of the high-frequency communication frequency band for military purposes to civilian use, the information transmission technology of high frequency and high speed for civilian use has made rapid progress, which has promoted the improvement of electronic information technology in all walks of life. It has the characteristics of long-distance communication, telemedicine operation and automatic control and management of large logistics warehouse. These are the most widely used technologies on the market today. Along with the development of electronic technology, there will be more innovative and improved PCB manufacturing technologies in the future.